Dynafit strives to produce the best possible products for mountain endurance sports due to the usage of innovative materials. 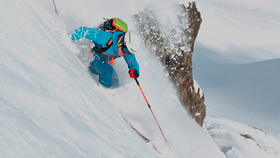 Through partnerships and the use of appropriate materials, Dynafit continuously develops its own products in an ongoing process. An overview of the processed materials can be found here.